Compared to their projects in other countries, the way HKI approached their effort in Côte d’Ivoire is quite unique. And this is because they focused their efforts on training local community health workers, who could then continue to share knowledge locally, rather than solely holding information sessions. Originally, the plan was to train an average of five health workers in each of the 77 clinics in the Korhogo District, for an estimated total of 385 health workers. Entering the third year of the project in 2018, this target was increased to 93 clinics and a total of 465 health workers. Similarly, the original target was to provide approximately 77,000 pregnant and lactating women with nutritional education and services, but the target was then increased to 93,000 women. These increases show that the project has not only met its original targets but is exceeding them. In fact, 82,000 pregnant and lactating women and their children have already benefited from nutrition counseling. That is to say, the project is going according to plan. These information sessions are based on the Essential Actions in Nutrition (ENA) framework, a set of proven and achievable nutritional practices aimed at reaching mothers at the right time with the right message. These practices focus on women’s nutrition, breastfeeding, complementary feeding, feeding a sick child, and fighting against anemia as well as Vitamin A and iodine deficiency. 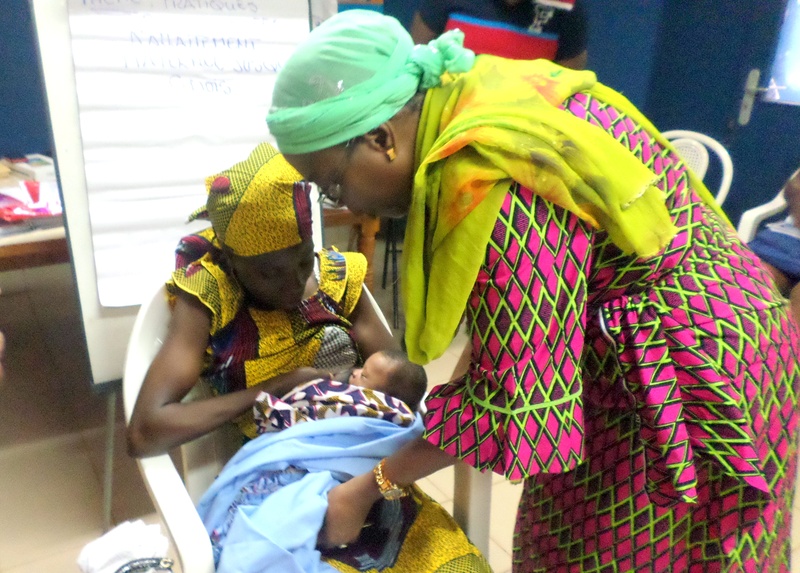 During three-day training sessions, local health workers are coached for two days, and then spend the third day in practical training by practicing their nutritional counseling skills with community members. Another aspect of these training sessions is cooking demonstrations. Health workers train mothers how to make nutritional porridge using local foods, and also provide basic information about things such as food groups, which many women were not familiar with. At the end, mothers know how to make affordable, nutritious porridge to feed their families. Since these trainings started, it’s been reported that more women and their children are frequenting the community health center. If they are malnourished, they are screened and given care and treatment. But otherwise they are given information and training that will reduce the instances of malnutrition in Korhogo in the first place, and for years to come. Randy Rosenthal teaches writing at Harvard University, where he recently earned a Masters of Theological Studies, with a Buddhist Studies focus. His writing has appeared in The Washington Post, The Los Angeles Review of Books, and many other publications. He edits at bestbookediting.com. This entry was posted in Engaged Buddhism, Global poverty, Nutrition, Projects & programs and tagged Cote d"Ivoire, Engaged Buddhism, Helen Keller International, Maternal health. Bookmark the permalink.